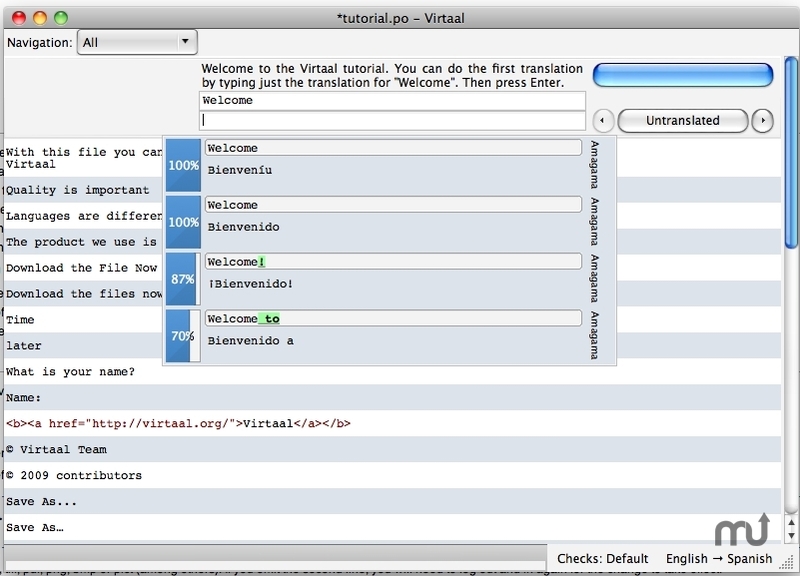 Graphical translation tool (release candidate). Is there a better alternative to Virtaal? Is Virtaal really the best app in Editors category? Will Virtaal work good on macOS 10.13.4? Virtaal is a graphical translation tool. It is meant to be easy to use and powerful at the same time. Although the initial focus is on software translation (localisation or l10n), we definitely intend it to be useful for several purposes. While it can translate many formats its primary focus is on Gettext PO and XLIFF files. You can also export your Gettext PO files to compiled MO files for work in translation of Wordpress themes.